Holding your wedding in the backyard of your house or the home of your parents is becoming more popular, especially as couples find themselves on ever tighter budgets. A backyard wedding can be a truly unique and personal occasion and many brides love the idea of getting married in the garden where they grew up. What budget have you set for your wedding cake? Being realistic about the size of your backyard and the space you have to work with is essential and you may find that you have to limit your guest list to fit everybody in comfortably. Check whether the bathroom facilities you have at home will be adequate for the number of guests you are inviting or whether you will have to hire extra toilets. Some wedding marquee supplier websites just advertise the cost of hiring the marquee, and then you get an unpleasant surprise when you receive the bill for delivery and set up. Find out whether it is possible and practical to pick up hired items yourself, or to rope a few of your fiancee’s mates in to set up the marquee. Catering for your own wedding may work out cheaper than a professional caterer, but it will probably add to the stress of your day. When you are comparing the cost of a caterer with that of doing the food yourself, don’t forget that the cater will usually provide cutlery and crockery, and that they will clean up afterward as well. 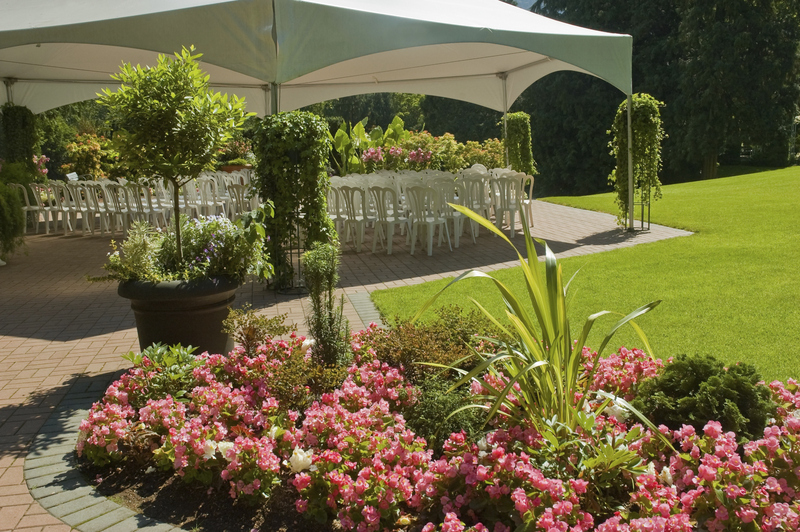 Many couples having a backyard wedding hire the same number of chairs as guests, and then can’t understand why they don’t seem to have enough. People will use chairs for all sorts of things including footstools, drinks tables, and coat holders, so make sure you hire at least 10% more than you think you need. 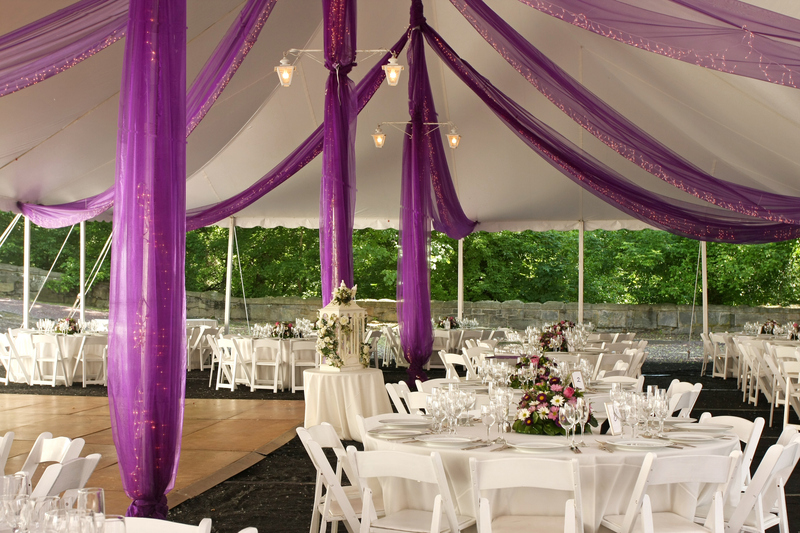 Many hire companies will offer you china plates and glassware along with your marquee but make sure you compare the cost with buying good quality disposable crockery and cheap wine glasses instead. If you can buy these items on sale they are often cheaper than hiring, and you won’t need to worry about breaking them or losing your deposit. Assuming you are at least on speaking terms with your neighbours, it is always a good idea to invite them to your backyard wedding. They are bound to experience some inconvenience, whether it’s loud music in the evening or cars parked in the street outside their house, and this will probably be less of an issue if they are guests at the wedding. Even if you’re hiring caterers, you will probably still need some extra fridge space. A beer fridge is a must for a backyard wedding, and will free up space in your kitchen fridge. You may also want to hire a small fridge just for your wedding cake. You wouldn’t want it to get damaged by someone accidentally plonking a champagne bottle right on top of it.